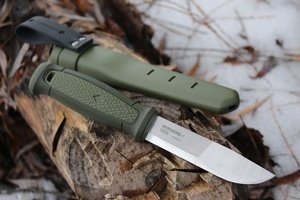 Mora Knives Kansbol Standard sheath version. Morakniv Kansbol is the ultimate all-round knife. 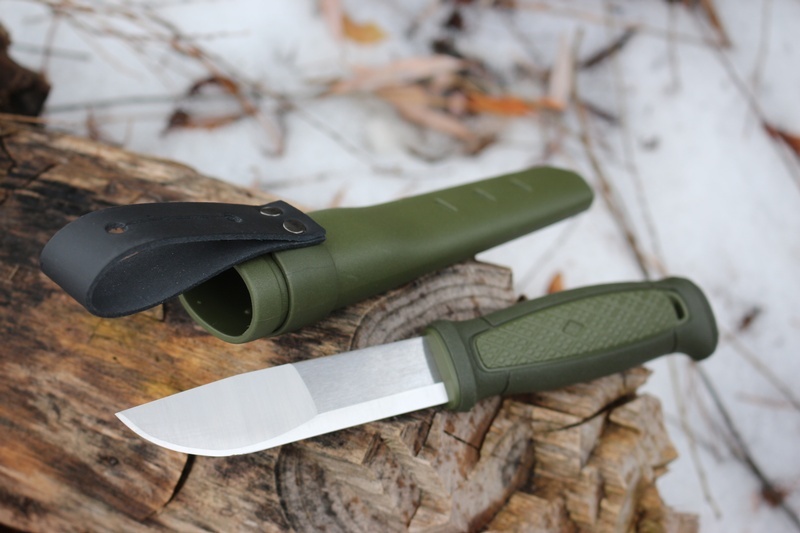 While in the woods, on a hike, hunting or at sea, it's a perfect partner.The knife is designed and made in Mora, Sweden, where we specially treat the Swedish stainless steel to enhance strength and long-lasting sharpness. The blade is profile shaped for added precision and the spine is ground so that it can be used with a fire starter. Combined with a firm, secure grip and superb feel this means that you never want to be without it, making your Morakniv a part of you. Stainless Steel. This is the standard sheath version, sheath is polypropelene with belt loop. Purchase through PayPal by using the "Add To Cart" button above or use the form below to order the Mora Kansbol Standard sheath . 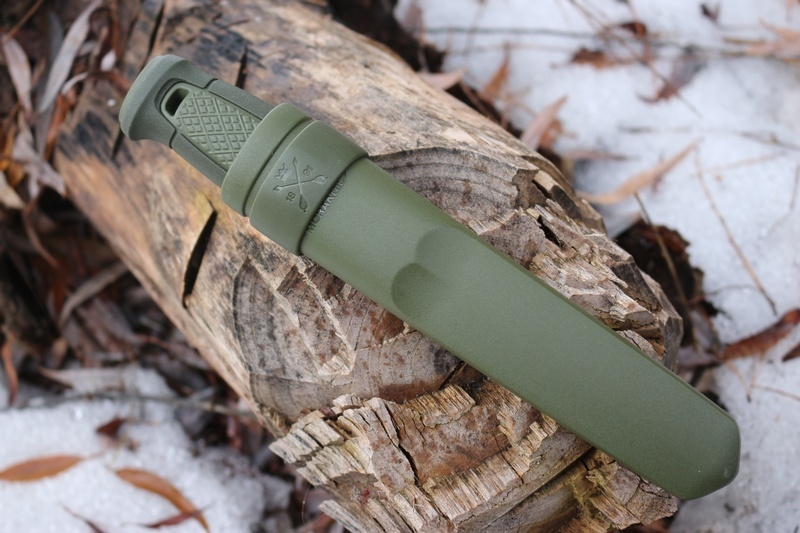 Feel free to contact us if you have any questions about the Mora Kansbol Standard sheath .